Family-owned Bacardi Limited, the largest privately held spirits company in the world, and Lonely Whale, an award-winning incubator for courageous ideas that drive impactful change on behalf of our ocean, announced today a splashy partnership with one brave sea turtle Sydney to put an end to all plastic straw emoji usage. Giving a platform and voice to Sydney, Bacardi and Lonely Whale have issued a “cease and de-sip” letter to the Unicode Consortium, the organization that manages the emoji catalog, requesting the removal of plastic straws from the soda cup and cocktail emojis. The initiative is just one of many ways Bacardi and Lonely Whale are working together to ensure #TheFutureDoesntSuck, with the goal to eliminate one billion single-use plastic straws by 2020. Bacardi and Lonely Whale were eager to help Sydney shed light on the threat of plastic straw pollution, showing how one man’s straw is another turtle’s backyard trash. 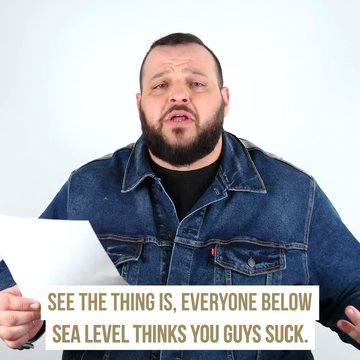 To ensure all of her friends on land could understand her turtle talk, Sydney worked with Bacardi and Lonely Whale to enlist comedian and activist Daniel Franzese to deliver her message. To give avid supporters an alternative emoji solution, Bacardi and Lonely Whale have released a collection of Giphy stickers inspired by the campaign. Bacardi and Lonely Whale hope that by removing plastic straws from digital usage, they too can shift cultural norms around drinking with single-use plastic straws altogether. Since joining forces in 2018, Bacardi Limited and Lonely Whale have collaborated to spread the message of reducing the use of single-use plastic straws through brand activations, influencer events, social media and more. Together, they’ve recruited customers to join the pledge through campaigns in the United States, UK, China and New Zealand. Bacardi also committed to a full review of its supply chain to eliminate the use of plastic where possible while developing recyclable and biodegradable alternatives. Both Bacardi and Lonely Whale are supportive of the United Nations Sustainable Development Goals for 2030, comprised of goals and targets set to stimulate action in areas of critical importance for both humanity and the planet. 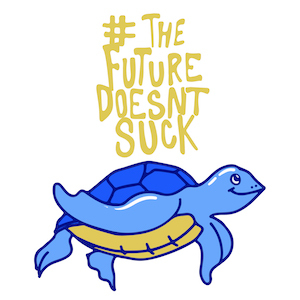 To join this global campaign, visit www.thefuturedoesntsuck.org. There, individuals can declare their pledge to ensuring #thefuturedoesntsuck by committing to go plastic-straw free and recruit restaurants, hotels, bars and other venues to do the same. Establishments can register their commitment and challenge others to take the pledge so that together we can all ensure #thefuturedoesntsuck. Founded more than 157 years ago, in Santiago de Cuba on February 4, 1862, family-owned Bacardi currently employs nearly 7,000, operates more than 20 production facilities, including bottling, distilling and manufacturing sites in 11 countries, and sells its brands in more than 170 countries. Bacardi Limited refers to the Bacardi group of companies, including Bacardi International Limited. Visit www.bacardilimited.com or follow us on Instagram and Twitter. Lonely Whale is an award-winning incubator for courageous ideas that drive impactful market-based change on behalf of our ocean. Founded in December 2015 by Adrian Grenier and Lucy Sumner, Lonely Whale is inspired by the power of community to create the change needed to ensure a healthy planet. Lonely Whale is working towards a new era of radical collaboration, together facilitating the creation of innovative ideas that push the boundary on current trends in technology, media and advocacy that positively impact the health of our ocean. The organization spearheaded the global Strawless Ocean movement, which permanently removes single-use plastic straws from establishments and markets, and NextWave Plastics, the first global network of ocean-bound plastics supply chains. Lonely Whale’s work has been recognized by Fast Company’s World Changing Ideas and Most Innovative Companies, the Shorty Awards, the ADDY Awards, the SEAL Awards, the P4G 2018 Circular Economy Award sponsored by the Danish Government, the HALO Awards, and more. Lonely Whale is a proud supporter of the UN Environment’s #CleanSeas campaign. To learn more and support, visit www.lonelywhale.org or follow @LonelyWhale.